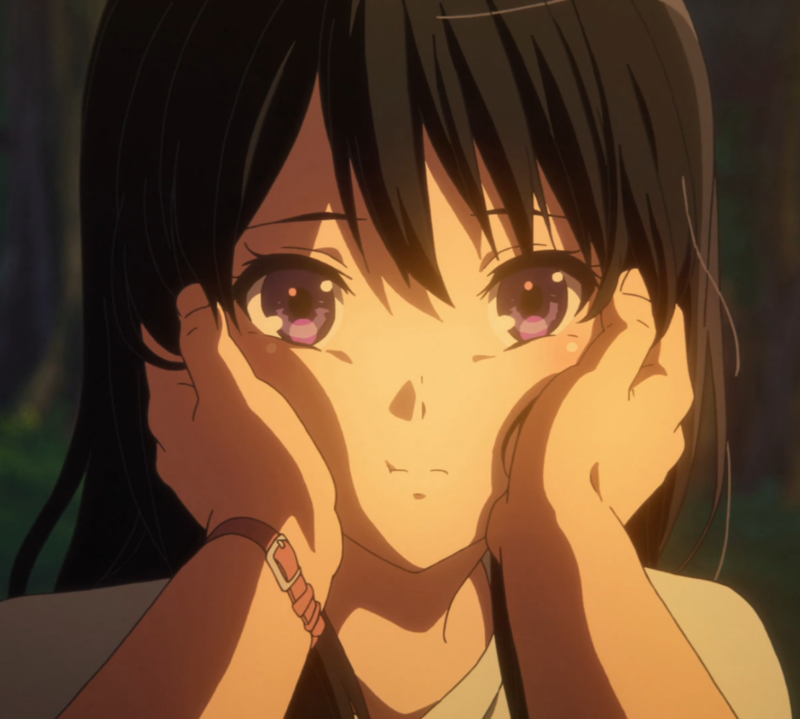 I have a lot of quirks when it comes to watching anime, things that I tend to pick up on or specifically watch for that I’d assume most people wouldn’t really care too much about. Lately, I’ve noticed myself succumbing to somewhat of a “mini-obsession” when watching anime, something that when done poorly now sticks out like a sore thumb to me. Sure, it can sometimes be immersion breaking for a moment, but when handled with style or raw force I usually can’t help but marvel for a second or two. I’m talking about background crowds. Whether or not you’ve given them much attention until now, background crowds are something we’ve all seen in anime. These (sometimes literally) faceless pedestrians are usually thrown in to give settings a sense of liveliness. Crowds are a typical part of average, non-introverted life, and so they’re pretty desirable additions to the mise en scène whenever a shot is trying to convey realism. Most shows and film try to ground itself with some form of familiarity, and so simple background congregations in appropriate settings become almost a basic necessity. Problem is, with each new layer added to the environment comes another new layer to animate, which can (and most likely will) be tedious as all hell. Studios with big budgets and crazy amounts of efficiency can probably pull off fully animating a classroom or busy a city street, but for everyone else, clever workarounds are key to keeping an area looking alive. When portraying a bustling festival for example, characters walking past in the background might have only their upper torso on screen. They slide across the frame with subtle bobbing animations to simulate walking without the animators having to bother drawing the legs. Having characters back turned to the camera is also a good way to relieve the effort that would’ve been needed to animate a face. Sometimes shows don’t even bother giving their background characters faces, whether their front-facing or not. This is a stylistic choice that is better used for comedies, or shows that generally do not take themselves very seriously. From this, basically all you need know is that a human entity exists. But why stop there? Silhouettes are the next best thing to actual character models, and can work just as well depending on the type of tone trying to be set. Maybe an important characteristic of some protagonist could be that she feels alienated, and so being surrounded by nothing but the outlines of people could further drive that point home. Or perhaps the silhouettes speak to everyone else’s lack of character. There are plenty of ways to play around with crowds to produce a certain effect, but that effect can sometimes fall flat due to weak execution. Frozen background characters in scenes that aren’t meant to bring attention to them can be distracting, particularly in cases where shots linger far longer than they should. It breaks the continuity of the world, and immersion can often be lost because of this. If background crowds are meant to set a lively atmosphere, but then aren’t given any movement whatsoever, then I’d think it be fair to consider that addition a failure. At that point, it would be better not to have any background characters at all. So long as the main focus of the shot is compelling enough, it wouldn’t even matter if the world doesn’t look populated. Shows like Bakemonogatari choose to go without background crowds, and it seemingly helps stress the individual, which is somewhat of a motif that runs throughout the series. Crowd control is important in anime, and knowing how to purposefully convey something with it is something worth learning for the creative side. Whether to utilize or avoid it, background characters in mise en scène play a role that, even though small, should not be overlook. Otherwise, you’ll might just find that two characters conversing in a restaurant isn’t quite as engaging because the people all stopped in time around them seem like a much more pressing issue. Hey I like your new posts. Keep up the interesting content!